This past weekend I was at the Midwest Bonsai Expo at Chicago’s Botanical Garden. While there, I had the pleasure to watch and listen to a demonstration workshop by bonsai expert Michael Hagedorn. While it was fascinating watching him transform a tree through his thoughtful touch, it was even more interesting to listen to his insights and reflections on bonsai, bonsai design, and hence design in general. 1. A good tree (design) should have three aspects: A – Elegance; B- Dignity; C – Presence. However, it is not uncommon for these three to be doled out in different proportions. I love this observation. It is no doubt influenced by his training in Japan. How do designs (or even brands!) that you know of stack up? 2. “I should be invisible as an artist” The tree is designed so that it stands on its own; that even though it’s been pruned and manipulated by the artist, it doesn’t look it. It retains itself, or, “takes possession of itself,” once the designing part is over. Think of it: after a product is released into the market place it stands on its own and grows into its own. 3. “Great people and great trees are the same.” This is with regards to how the tree(design) ages, how it shows the scars of life and still comes through it all with Elegance, Dignity and Presence (see #1). 4. 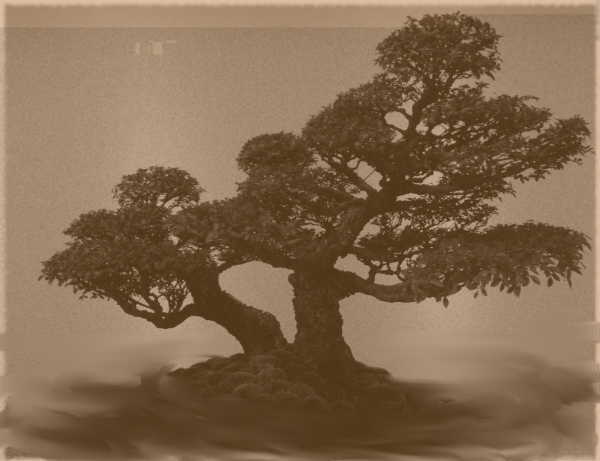 A good bonsai (design) is a result of the artist(designer) embracing the constraints. A tree has branches, roots, soil, certain nutritional needs. If any one constraint is ignored the result is a sickly tree (design) or worse. 6. There are wildcards like weather, those things outside of our control, that can scuttle all our bests efforts. So all we can do is prepare the tree(design) for whatever the future may hold and hope for the best. 7. While bonsai are shown and meant to be seen from their ‘ front’, really good bonsai (design) it seems, have something to look at from any direction. 8. Bonsai is a type for metadesign. The self-building, synergistic, holistic, fractalesque nature of working with bonsai is beyond regular design. Bonsai is an ongoing relationship and dialogue between the designer and the designed. So what do you think? Do these eight insights resonate with your own experience? Can you think of examples that highlight or contradict them?